When I heard the D23 Expo announcement that Hollywood Studios‘ Toy Story Land would be opening in the summer of 2018 (only 3 years after it was first announced), it impacted me in a way that might be different from other folks. Instead of being excited, I started to get very worried. 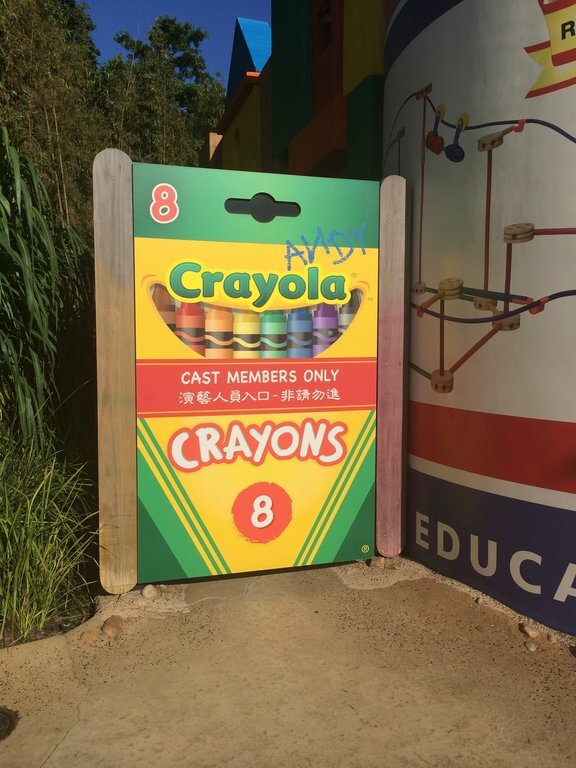 That’s because I have experienced Hong Kong Disneyland’s Toy Story Land, and honestly, I wasn’t that impressed. The fact that our Toy Story Land could be put together so quickly makes me feel like it might be pretty similar to what I saw in Hong Kong. I had the opportunity to visit Hong Kong Disneyland in August of 2014 and I stayed onsite at the Hong Kong Disneyland Hotel. This was a quick trip, and I was only able to spend about eight hours in the park. And just in case my opinion was biased by the weather, I will say upfront that it was very hot and very humid that day. In fact, it was hotter, and more humid, than any weather I’ve ever experienced in Walt Disney World in August. And it was crowded. 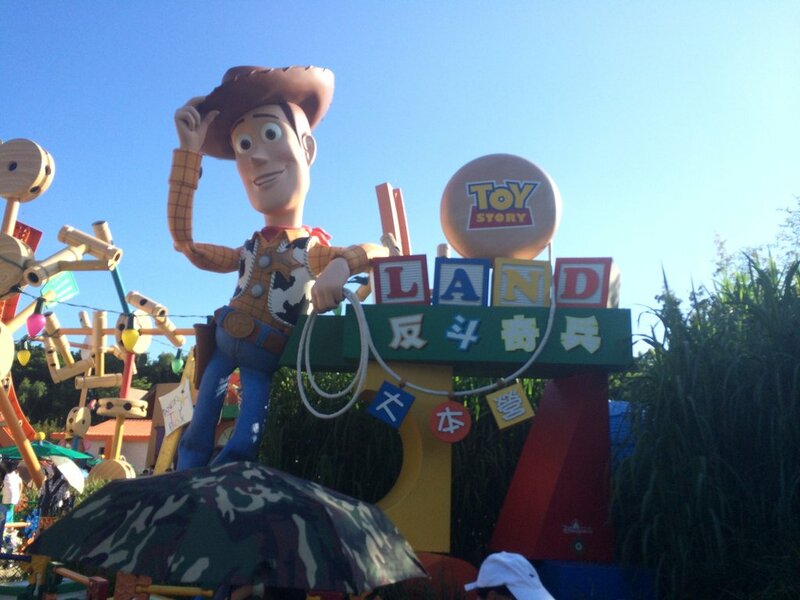 Despite all this, I really enjoyed my visit to Hong Kong Disneyland, but I was quite underwhelmed with Toy Story Land. Toy Story Land is one of seven lands at Hong Kong Disneyland. 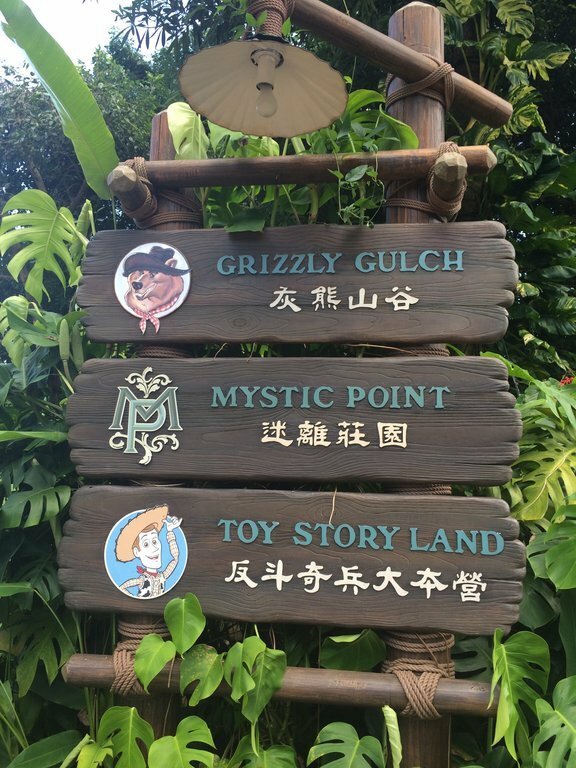 The remaining lands are: Main Street USA, Adventureland, Fantasyland, Tomorrowland, Mystic Point, and Grizzly Gulch. With limited time at the park, my main priority was to ride the one-and-only Mystic Manor in Mystic Point, and to find anything else that was unique or different about Hong Kong Disneyland. The heat and humidity of the day may have impacted my opinion, so I’ll mention it again. Upon entering the park, I headed immediately for Mystic Manor, an attraction that I knew didn’t exist at any other park. When I arrived, the wait time was almost an hour. I waited for it, and I enjoyed it immensely. But after that, I realized that I then had less than six hours to spend in the park before it closed for the evening. Toy Story Land was the next land over, so I headed over to see what I could see and continue my tour around the park. First, the good: The land was very cute, with lots of theming, bright colors and interesting things to look at. The idea behind it is that you are in Andy’s backyard with all of his toys. I took a couple of cute pictures of the land. It contains three attractions: Toy Soldier Parachute Drop, Slinky Dog Spin, and RC Racer. There is also a meet and greet with Woody and Jessie called Barrel of Fun. Now, the not so good: First off, did I mention that it was very hot and very humid? Well, as I was walking through the land, there didn’t seem to be any shade…at all. It was so sunny and so bright, and all the ride queues seemed to be outside. As I walked around, I debated if anything was worth waiting out in the heat and humidity for, in the limited time that I had. In the end I decided that all of these attractions, while cute and well-themed, were nothing special and not worth the wait. This was somewhat similar to how I felt when I visited A Bug’s Land in Disney California Adventure Park for the first time. Toy Soldier Parachute Drop appeared to be a traditional “parachute ride” that you might see at any carnival or boardwalk on the Jersey Shore. It goes up and down, at a relatively slow speed. Slinky Dog Spin is a slow moving “train” of sorts that goes around in a continuous circle. RC Racer is the “thrill ride” of the land. The track is shaped like a “U” and the car moves forwards and backwards along the track at relatively high speeds. It doesn’t go upside down, and it reminded me of a more intense version of the Pirate Ship ride that you can see at theme parks everywhere. After taking this all in, I decided to move on to the rest of the park and was able to ride some other rides (with air conditioned queues) throughout the day. I’ve never regretted my decision to skip the rides in Toy Story Land, opting instead to ride the Hong Kong Disneyland versions of Space Mountain, It’s a Small World, and Buzz Lightyear Astro Blasters. I have, however, regretted skipping the Big Grizzly Mountain Runaway Mine Cars in Grizzly Gulch. Looking forward: The good news about Disney World’s Toy Story Land in Hollywood Studios is that it will include two all new attractions, and will fit in very nicely around the existing Toy Story Midway Mania attraction. Slinky Dog Roller Coaster looks like a fun family coaster, perhaps targeted towards younger kids, but definitely more exciting and interesting than Honk Kong Disneyland’s Slinky Dog Spin. Alien Flying Saucers is an attraction I don’t know much about, and it could be something really different, but I fear that it might just be another one of those rides that has been replicated at theme parks and boardwalks around the country. I hope I’m wrong, and I hope that Disney designs something really amazing for this attraction. Final Thoughts: I expect Toy Story Land in Disney’s Hollywood Studios to be highly themed and interesting to look at. I am cautiously optimistic that the attractions will be more interesting, and will have more shade in the queues, compared to Hong Kong Disneyland. How do you feel about Toy Story Land coming to Disney’s Hollywood Studios? Are you excited? Wary? Or maybe cautiously optimistic like myself?